Solomon brings us traditional wisdom in Proverbs, teaching us, “a capable wife who can find? She is far more precious than jewels.” There is so much greatness we can learn from a servants heart and example. Proverbs 31 is an alphabetical acrostic, a literary work of art. We have an example of an ideal woman for every man should be blessed. David is speaking admirably to God in Psalm 54, despite the fact that others are speaking vile words. Today’s teaching and wisdom from James describes how people interact with one another. Wise leadership contrasts behaviors that defeats community strength. 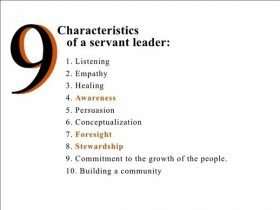 Are we equipped to behave as godly leaders? In the gospel of Mark today, Jesus is back in Galilee with His disciples looking for quality time to teach. True greatness among us comes with being servant of all. Let us revel in the radical Grace of God that many people then and now simply can not understand. Dear God we are grateful your son Jesus shows us the way to navigate life and died for our sins so we may share eternity with you despite our human nature. Amen. New Testament: James 3:7-8; James 3:13-4:3.
you bear the pain of your people. amid the struggles of this world. Amen. and welcome us a beloved children. as servant of your peace. Amen.